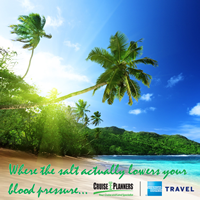 Cruise Planners, an American Express Travel Representative is locally owned and operated by Kelly & Curt Spickler. We are a full service agency for ALL of your travel needs! Whether it’s a Cruise, All-Inclusive Resort, Private Island Getaway, Las Vegas, Europe, or Alaska. We are in the business of turning your dream vacations into memories and experiences that you will never forget. If you’ve dreamed it, we can help it come true.